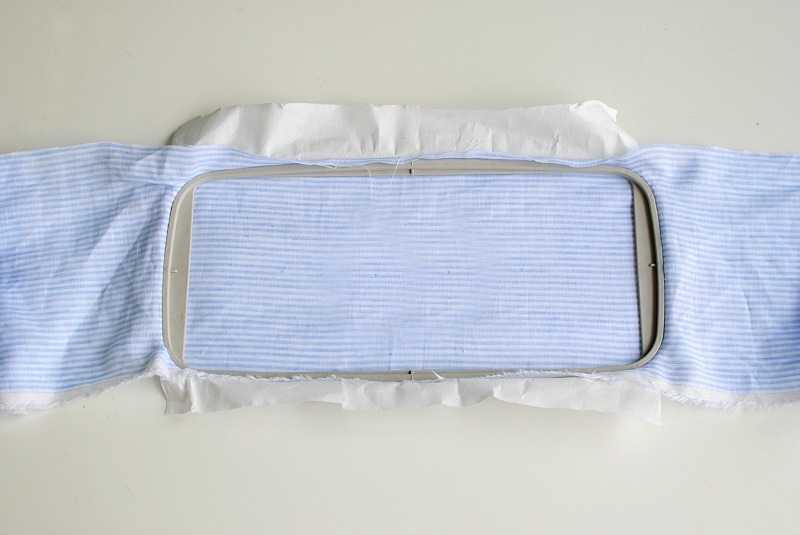 Summer is here and what better way to celebrate than with a DIY project! 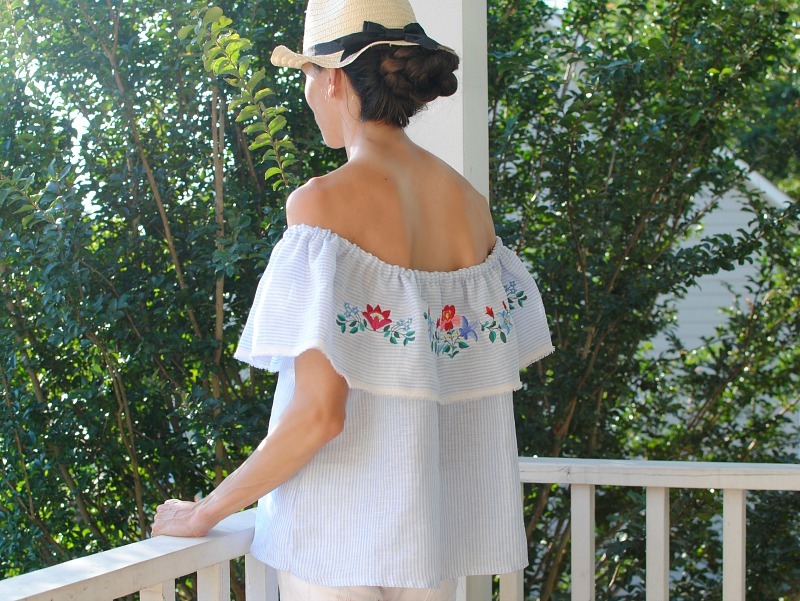 Living in the South can be exceptionally hot outside so I like to wear silhouettes and fabrics that are easy breezy. 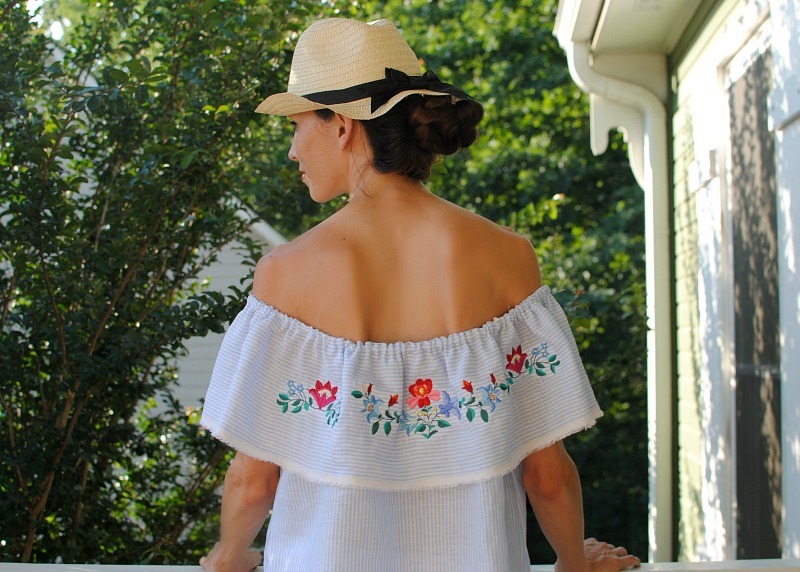 I've had this off-the-shoulder top on my "DIY to do list" for awhile now and finally got around to making it. 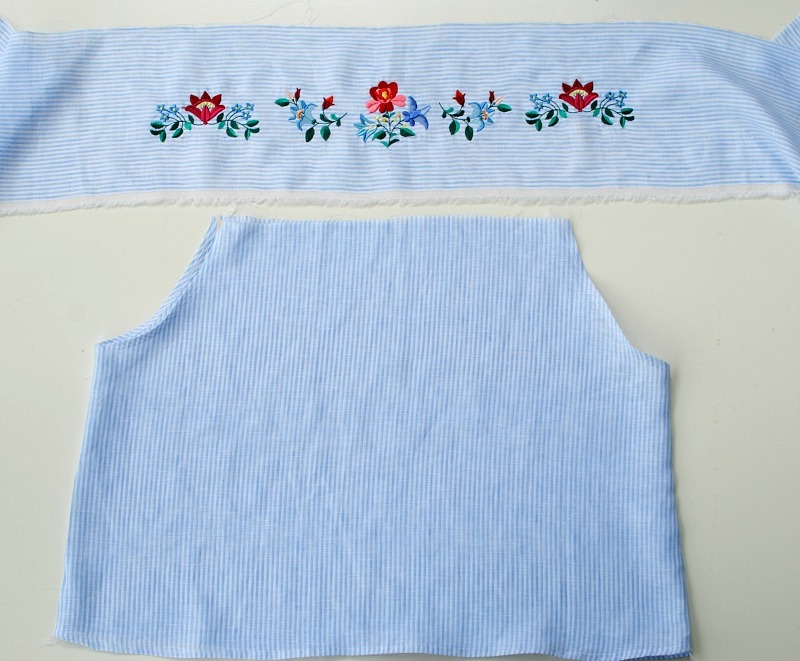 The pattern for the top is a simple project to create from scratch if you follow my tutorial here. I then added some machine embroidery using OESD's Folk Art Flowers collection along the ruffle to add some pop of color. Get the details below and make your own. 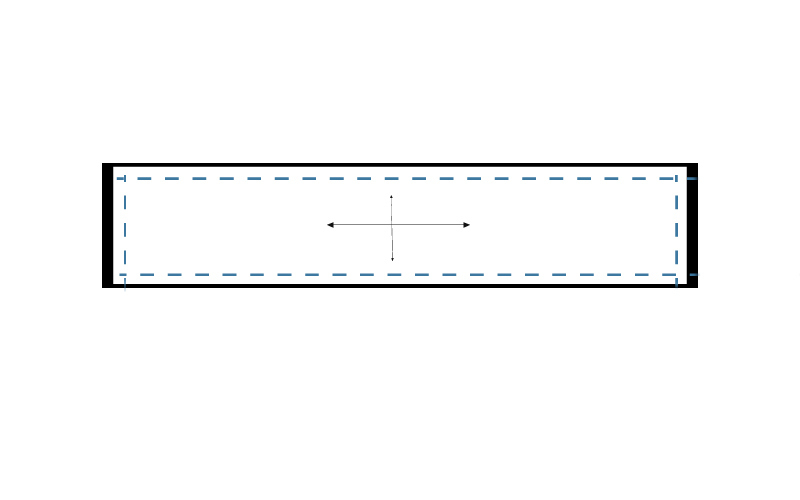 Begin by following the pattern here to cut your pattern out. Before cutting the ruffle keep in mind your hoop size. I have a 5" so an 8" ruffle is fine because I have room to still hoop properly. 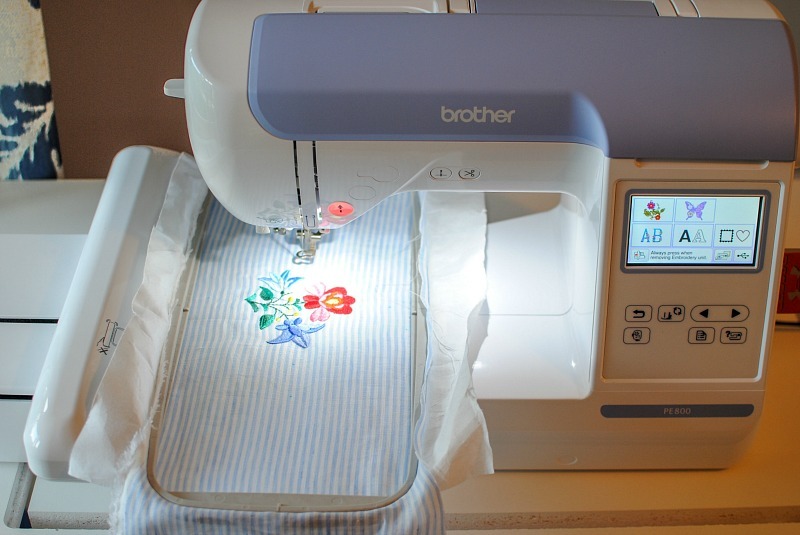 You can always cut the pattern down if need be after embroidery. I'm embroidering the ruffle portion only. I used the selvage edge of the fabric for the hem. I love the fringe look and it cuts down on the finishing process. Before embroidery you will want to mark the embroidery pattern. I typically start in the center and move out. Be sure to make note of your hem allowances. There is a 1" casing at the top for the elastic and hem for the bottom edge. You will want to find the center after those are marked off for the horizontal line. I used my 5"x12" hoop for the center embroidery and the 5"x7" for the sides. Do your best to align your hoop markings with your fabric markings. For the stabilizer I used OESD's Ultra Clean and Tear and 505 Temporary Spray to keep them together (linked above). 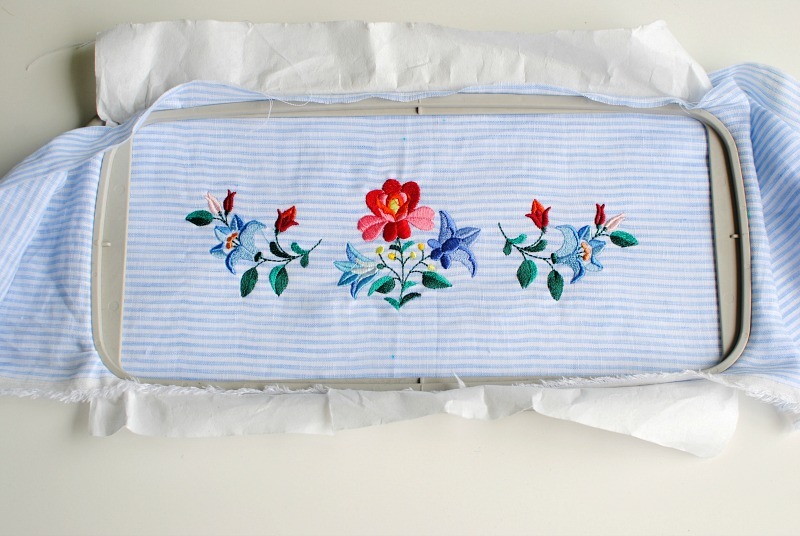 Begin embroidery. 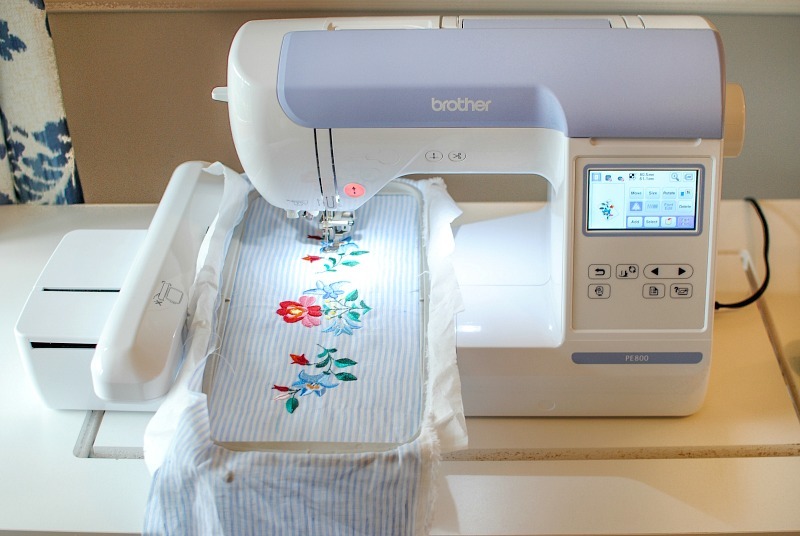 My Brother PE800 makes it easy to add designs together. With my marks I can make sure everything is lined up and if not I can use the arrows to adjust the design. Because I am using stripes it was simple to keep everything centered as I continued each design. After the first set of designs I hooped along the sides to add additional designs with the 5"x7" hoop. 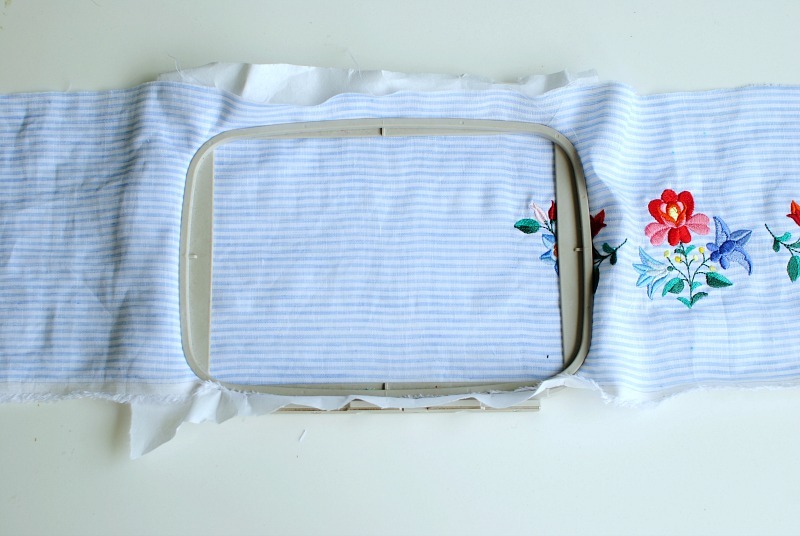 Now you're ready to sew the off-the-shoulder top together. 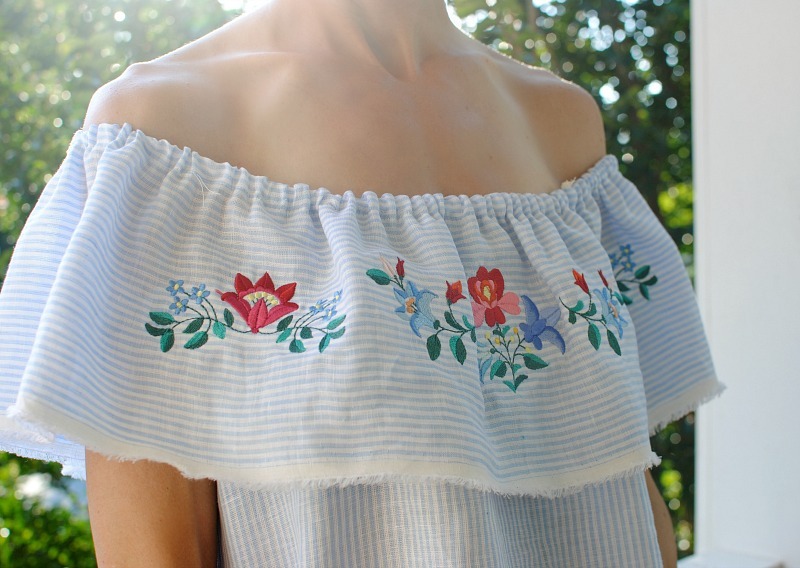 No doubt there is something in an off the shoulder top like the one you have made that makes passersby marvel at it invariably. By the way its indeed beautiful. This is beautiful. 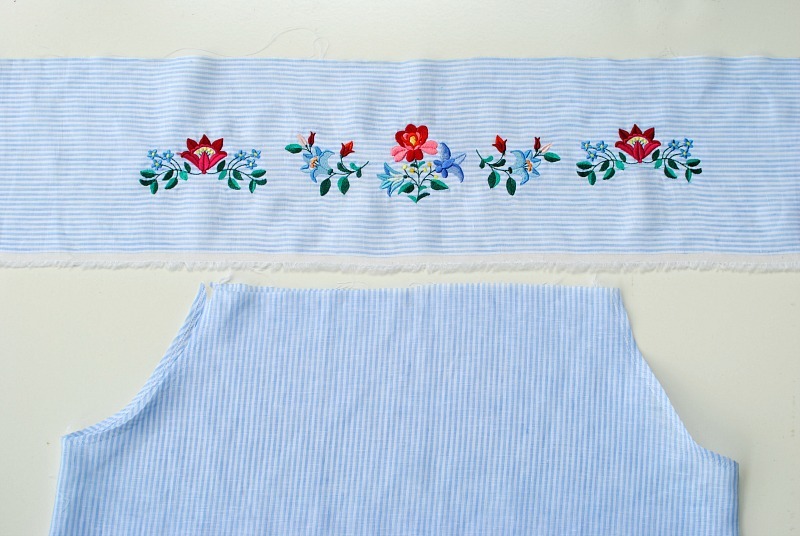 Floral <a href="https://www.digitemb.com/category/embroidery-designs><b>embroidery designs</a></b> made it so delicate! Best dream11 team prediction website with fantain halaplay dotball and other fantasy sites. We are best Dream 11 fantasy cricket league prediction site for cricket, football kabaddi prediction and NBA prediction. Get Cricket news, live streaming and match predictions every day. Get Updated feed on all the international and domestic matches all around the world. Watch out for the yearly schedules and results of your favorite team. I have found the site very informative! I only recently came upon it, and wish I’d seen it sooner. It does a great job of pulling different topics/disciplines/perspectives — something unique and valuable here. Thanks — hope you keep it up!